Perth’s favourite community radio station, RTRFM, celebrated their 41st anniversary and annual Radiothon in August, successfully raising nearly $300,000 in pledges. Those who pledged have just three more days to honour their subscriptions ahead of the Sunday, October 7 deadline, so as to be in the running to win a wide array of incredible prizes, and it’s not too late for those who haven’t subscribed, head to http://rtrfm.com.au/paymypledge/ now and help keep alternative media alive in Perth. AIDAN RYNNE reports. RTRFM started out in 1977 at the University of Western Australia, and since UWA’s senate decided to stop airing the station in 1990 they have been supported by their listeners. Around 400 volunteers run RTRFM with 200 presenters, only a couple of which are employed by the station. RTRFM is the voice for local artists as well as alternative music from around the world. They receive no government funding for this and will allow no more than five minutes of sponsor announcements per hour. This means the station relies almost entirely on their listener’s support. Most people have the perception that radio is free however listeners of RTR understand that without subscriptions and donations the station can not continue. 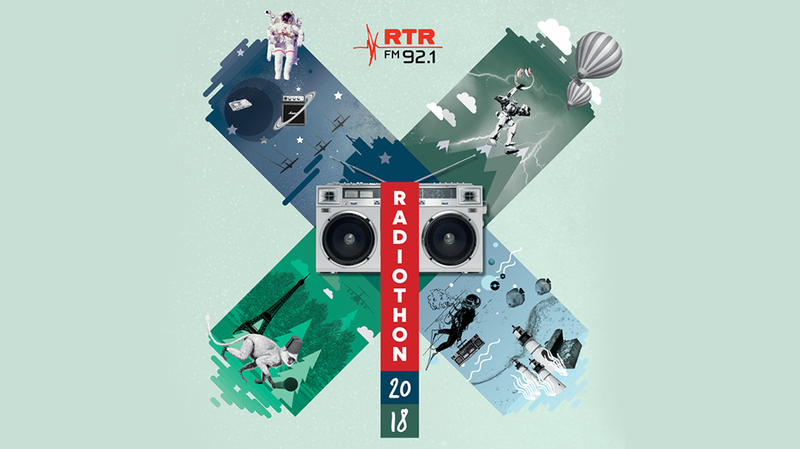 Due to this, each year RTRFM hold ‘Radiothon’, a period of 10 days where listeners are encouraged to subscribe with the opportunity of prizes to be won. This period also includes live events and special guests in the studio. The station gets around 30% of their funding from these events. RTRFM are not only a radio station. The station hosts and promotes live performances and festivals as well as supporting other arts through film festivals and art exhibitions. RTR also supports a diverse range of voices including the All Things Queer program and Moorditj Mag, a weekly look at Indigenous affairs. The station is unique in that presenters are generally making art or are involved in the art community themselves. Because of this there is a unique ‘give and receive’ relationship with the music played. Presenters want to give Perth artists a platform and so being involved in the RTR station is useful networking for local musicians. The RTRFM website even encourages bands to sign themselves up to their Local Music Hub so that they can be easily found by listeners. One may imagine that a station run entirely on volunteers may be lax however RTR run a slick, professional outfit with state of the art studios and staff running the station 24/7. However this is not possible without the community’s support. About 8% of the population of Perth listen to the station with overall around 229,000 listeners worldwide. One may think it’s possible for any station to be loosing popularity in this age of streaming where people can conveniently hit play on a ready made Spotify playlist, however RTR are evolving, making all of their programs available to stream after they have been broadcast. Despite radio beginning to seem old hat to many, RTR listeners have remained dedicated, proving that the people of Perth want to support alternative art. “It’s like knowledge sharing. It feels like this shared experience because listeners are presenting and presenters are playing,” was how Annika Moses summarised the RTR community. Perth has a lot more art in it than people realise and just like X-Press, RTR exposes and supports a great deal of it, so it is good to know the people of Perth have kept it alive for another year. Perth’s arts scene, especially the music scene, would be a lot poorer without RTRFM. If you would like to support the station, head to rtrfm.com.au to subscribe or donate.